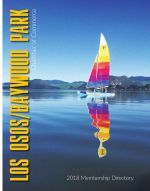 Friends of Los Osos Library will hold a book sale Saturday, Feb 16, from 9 AM to 1 PM in the library parking lot, 2075 Palisades Ave, Los Osos. There will be books, DVDs and CDs for sale. From 12 noon to 1 it’s a buck-a-bag! Rain postpones to the following Saturday.